If your company is located in a Utah city such as Vernal, Salt Lake City, West Jordan, South Jordan or St. George, you don’t have to look very far for the best excavator solutions. Wheeler Machinery Co. offers a huge selection of innovative excavators for sale that can boost your productivity while lowering your operating costs. 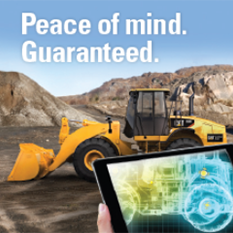 Is it time to replace an aging excavator or upgrade your excavator fleet? Do your specific digging applications require the most technologically advanced excavators on the market? Wheeler Machinery Co. understands different businesses have different needs. That’s why we offer flexibility for acquiring new equipment. You decide what’s important to you, then together we make a deal based on what’s right for your operation. We are currently offering outstanding deals on Cat Excavator models 311 - 374. Wheeler Machinery’s relationship with Caterpillar® has endured for more than 60 years. 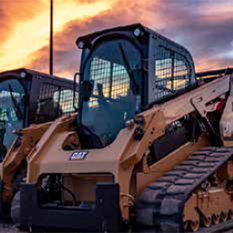 We offer the complete lineup of Cat excavators for sale that deliver the performance, dependability and efficiency you’ve come to expect from the worldwide heavy equipment leader. Our new Cat hydraulic excavator inventory ranges from mini units that combine power and versatility to large models for those heavy-duty digging applications. Our heavy equipment experts can help you choose the perfect excavator for your needs and budget. 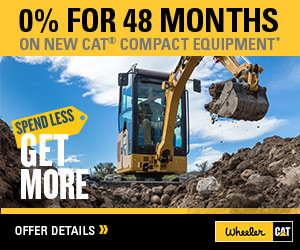 Check out our current selection of new Cat excavators for sale in Utah or stop by the nearest Wheeler Machinery branch for an in-person look today!